WhatsApp for Nokia Asha and Symbian S40/S60 phones has been updated to version 2.16.38. The update comes within the six remaining months before the company finally ends support for these devices. The Facebook-owned instant messaging giant had earlier announced that it will end supporting some mobile operating systems from 2017. The company cited lack of capabilities needed to expand the app and drop in the number of users as the driving force behind the move. BlackBerry, Nokia’s Symbian S40 and Symbian S60 and Windows Phone 7.1 among other operating systems will be demoted by the end of this year. WhatsApp, therefore, will not be releasing updates for Nokia and Symbian devices after this year, but will continue to make changes aimed at fixing bugs resulting from users’ complaints until the designated period elapses. For now, users on these platforms will continue to enjoy temporary changes which WhatsApp will be making. 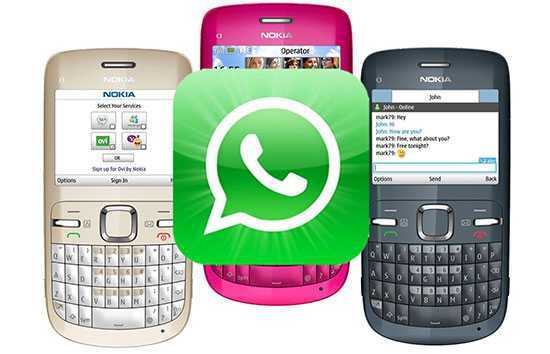 WhatsApp users on Nokia and Symbian phones platforms have been, in the recent past, complaining of bugs on the messaging application that has prompted the team to craft something to ensure they continue using the popular chat service in a friendly chatting environment. WhatsApp beta version 2.16.38 has been released and is available on Google Play Store. Users can also download and install the update file from app’s official website. The old platform, unfortunately, will not access the voice calling feature among other fascinating functionalities currently enjoyed by users on Android, iOS and Windows. WhatsApp will surely not add the feature on Nokia Asha and S40/S60 Symbian devices and had already confirmed so. WhatsApp for Symbian and Nokia has been experiencing frequent crashes. The company has, however, assured users of the app’s stability from now. WhatsApp version 2.16.38 squashes crashing along other invisible bugs. Conversations on these platforms are also protected by default end-to-end encryption that prevents man-in-the-middle attacks. Chats encryption keys are only known by the sender and the receiver, not even WhatsApp team or authorities will be able to decipher private messages. Remember also that WhatsApp 2.16.38 update is a beta version, so performance might experience hiccups along the way. However, it’s a considerable option before the stable version is released. After downloading the file, remember to install it then restart your device to continue enjoying the changes made on the app before it finally ceases to support these devices. It is always a good practice to update your apps, by the way, to avoid bugs and enjoy new features. You should also consider purchasing an Android or an iOS device to access tons of features streaming into these platforms. The latest beta update 2.16.118 for Android includes the Quote and Reply feature. WhatsApp made the announcement after celebrating its seventh anniversary. The company said that it’s projecting its future in the next seven years and want to concentrate on mobile platforms used by the vast majority. WhatsApp was launched in 2009 when 70 percent of devices were either powered by Nokia or BlackBerry OS. However, devices currently run on operating systems created by either Google, Apple or Microsoft which then occupied less than 25 percent. This change of scenario will see WhatsApp focus on Android, iOS, and Windows platforms. WhatsApp on Android and iOS has seen a lot of progress in the past few months than the whole of last year. The latest update has added a feature that allows users quote and reply to a message. This feature helps users to add context to a message when necessary by referring to old messages.